SEOUL — Nexus 5X, the latest collaborative smartphone from Google and LG Electronics (LG), will be available in key markets for purchase. In addition to its availability on Google Store, major carriers and retailers in the United States, Canada, United Kingdom, Ireland, India, Korea and Japan will make the device available to the general public. 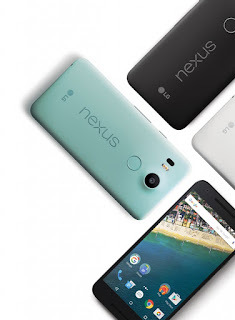 Additional markets in Europe, Asia and Latin America will roll out the Nexus 5X in the weeks to come. As the third successful collaboration between LG and Google, Nexus 5X delivers the best of Google and LG know-how in a superb package. With a snappy Qualcomm Snapdragon 808 processor, advanced camera features and fingerprint sensor, the Nexus 5X boasts powerful performance, impressive multimedia capabilities and enhanced security. As the first smartphone to market to feature Google’s newest mobile operating system, Android 6.0 Marshmallow, the Nexus 5X will be the benchmark device by which all other smartphones will be measured. 0 comments on "Nexus 5X Available in Key Markets - Eagerly Anticipated Smartphone First to Offer Android 6.0 Marshmallow OS"